Intrinsic motivation refers to an inner force, an inner energy, or drive which results in us engaging in behaviour which we find personally rewarding. It means we do something simply for its own sake, instead of being motivated by the desire to gain a reward of some kind, or…..to avoid some type of negative consequence. To help you to better understand your own work motivation it will be helpful if you understand the difference between intrinsic and extrinsic motivation. As we have seen, intrinsic motivation comes from within us. Intrinsic motivation – is this best type of motivation? A strong argument can probably be made that intrinsic motivation is best. However, this type of motivation may not apply in every situation. For example, a person may simply not have the desire to engage in an activity. Regarding your career however, I would strongly argue that strong intrinsic motivation and enjoyment of the work you are doing will be a major component of your job satisfaction. However, it has been my experience, personally, and in dealing with my clients – that sometimes there is simply not enough money to be earned in a job to keep you motivated. We are all different, of course! So, in reality your work motivation and job satisfaction is likely to come about because there is a good balance between intrinsic and extrinsic motivational factors. Your key career drivers are a reflection of your intrinsic motivation as it applies to your career. A career driver is the inner force, or energy that influences your behaviour in getting what you want and need from you job or career. To help you better understand your career drivers please download and complete this free career-drivers-questionnaire. When it comes to your job or career, the intrinsic motivation you have towards this are known as your career drivers. Hopefully you will now have a better understanding of what the key drivers are in your career. In an ideal world, we all would have the opportunity to enjoy intrinsic motivation about the work we do – I trust this is the case for you. are you intrinsically motivated about your career? 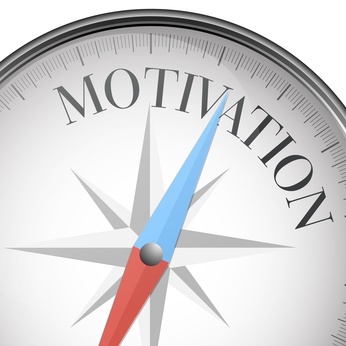 which is the best form of motivation in your experience – intrinsic or extrinsic?